About 9 months into my burlesque career, I decided to produce my first show in May 2015. I had NO idea what I was getting myself into, and even though the show was a success, I took a year’s hiatus once it was over to re-evaluate whether or not producing was right for me. While I am not an experienced producer (not yet anyway), I feel that my insight as a beginner can be valuable to others who are considering throwing their hat into the production world. These are some of the things I wish I could have learned BEFORE I took the plunge myself. This may be the most difficult step in the process depending on where you live, how much burlesque is in your city, and how well connected you are. Reach out to your friends and ask if they know anyone who works at/owns a venue with a stage. Cold calling venues (particularly bars and restaurants) can be exceptionally frustrating. 9/10 times in my experience I was never able to get in touch with a booking manager at all. If that doesn’t pan out, google “theaters for rent in my city” and send out a few rate inquiries. Community theaters usually offer affordable hourly rates, or will be willing to share proceeds from tickets with you. If you’ve done all of these things and still can’t find a venue, reach out to an established producer in your area. They may have contacts and leads to share with you if you ask them nicely and respectfully. Don’t settle for paying your performers a door split. Instead of jumping into your first production right away, spend some time saving and setting money aside specifically for your show. Make a budget for a flat rate you are able to pay every performer out of pocket even if you don’t sell a single ticket. It’s important as a producer to guarantee that all your performers are paid for their time. Consider your venue when you make these budgeting decisions. If you are operating a show out of a small bar and can only charge $5 a ticket, your base pay will be lower than someone producing at a theater and charging $20 a ticket. A common misconception is that performers will feel more motivated to promote a show if their pay depends solely on ticket sales. In reality, I find the opposite to be true. Performers who feel they are being paid fairly are more eager to spend the extra time contributing to the marketing efforts of a show. Does this performer have a local following who will buy tickets specifically because they are on the bill? Is this performer active on social media? Do they regularly engage in marketing shows they are participating in? Does this performer put care and effort into their costuming and choreography? Does this performer have a reputation for causing drama or behaving inappropriately backstage? I strongly advise against picking your performers based on personal relationships. I have friends whom I love dearly, but they do not fit the vision of my show so I do not cast them. If they are really your friends to begin with, they will understand that your casting decisions are not personal, and will support your show either way. This step is the longest, and most involved in the whole process. Advertising on Facebook has never been enough and never will be if you want to draw a crowd. As a producer, it’s your responsibility to market your show as much as possible to people OUTSIDE of the burlesque community. Regular show-goers are great, but you can’t count on them to make your break even. Your most important sales will belong to first timers. They are more likely to tell their friends about events they are attending and encourage others to buy tickets. Plus, if your show is the first experience they have with burlesque, they are more likely to have loyalty to your brand in the future. It’s important for all the shows in a community to actively reach out to newer audiences to keep the scene from becoming saturated. Hire a professional to make a well designed, tasteful poster. This is your first impression on a potential ticket buyer, so it’s critical that you set your best foot forward. Hold a raffle for a pair of free tickets for anyone who shares your post. This will pay for itself in free advertising! Offer a discount if people buy in advance. Post in your event often and vary your content. Post pictures, videos, GIFs, and as much other variety as you can to keep people interested in the event. Start promoting early! Give yourself at least a month to generate buzz about your event and get as many people to RSVP as possible. I would encourage any first time producers to abstain from performing in their first show, and just focus on the logistics of keeping the event running smoothly. Trust me, your stress levels will barely be manageable without the strain of performing. If you want to perform in your first show, do yourself a huge favor. Hire a stage manager. If your venue requires you to hire someone to operate lights and sound, make the investment in hiring a professional. Your spouse may be eager to help, but if they don’t have any experience in tech you don’t want to chance it on show day. And last but not least, don’t forget about your stage kittens. Having kittens around who already know what they are doing will take a huge burden off your shoulders on show day. Basically the moral of the story is that the more professionals you hire, the lower your blood pressure will be. 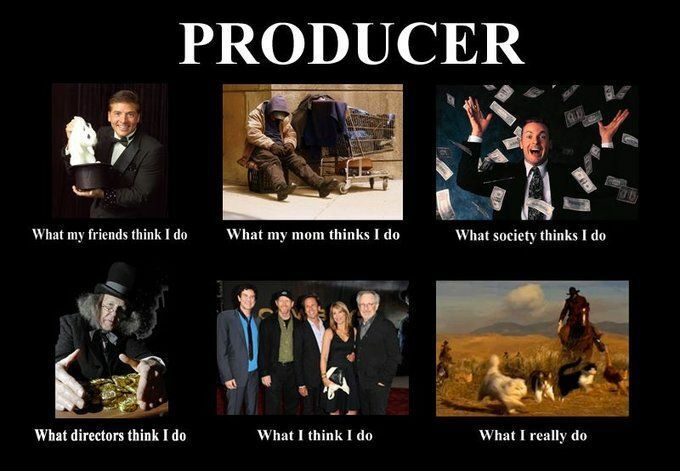 And after all, you’ve done so much work to make your show a success, you may as well enjoy it! Most importantly, don’t bite off more than you can chew. If your venue is making unreasonable demands, making your performance environment unsafe in any way, or behaving in a manner that will tarnish your reputation by association, leave. Do not stay at a space out of desperation. The safety and well being of you and your performers must be your top priority above all others. Don’t be afraid to assert yourself should a situation arise. It’s a LOT of work, but great challenge reaps great rewards. If you play your cards right, producing a burlesque show can be a source of emotional and monetary prosperity. As long as you are prepared, informed, and have realistic expectations for what you can achieve, the sky’s the limit!